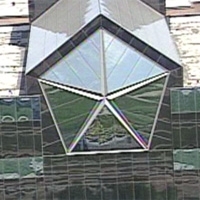 DETROIT -- Chrysler Group today announced it is offering customers 0 percent financing or up to $4,000 cash back on most 2010 models financed through GMAC Financial Services. Chrysler announced the incentives a day after announcing it had reported a 25 percent sales increase for April, its largest monthly increase in nearly five years. Chrysler boosted April sales by spending an average of $3,374 per vehicle in incentives. That number was down from $4,383 a year ago, but still the largest incentive average in the industry, according to Edmunds.com. • Chrysler-brand customers can choose between 0 percent financing for 60 months, 1.9 percent for 72 months or a rebate of up to $3,000. • Dodge customers can choose between 0 percent financing for 36 months or a rebate of up to $3,000. Customers who buy a Dodge Avenger, Grand Caravan or Nitro can also get 0 percent for 60 months and a rebate of up to $2,000, while Dodge Charger buyers can choose between 0 percent for up to 72 months or $3,000 cash. Journey and Caliber buyers can choose between 0 percent for 36 months or a rebate of up to $1,500. • Jeep customers can choose between 0 percent financing for 36 months or a rebate of up to $4,000. Customers who buy a Jeep Liberty, Grand Cherokee or Commander can choose between 0 percent for 60 months or a rebate of up to $4,000 and are eligible for an additional $1,000 in GMAC Bonus Cash. • Ram truck buyers have a choice of 0 percent for 60 months or a rebate of up to $3,000. The offers are good through June 1. Chrysler, which emerged from bankruptcy last June under control of Italian carmaker Fiat S.p.A., has been battling to stabilize sales and U.S. market share while it races to revamp its aging, gas-guzzling fleet.